Is a third option for transitioning from FTM on the horizon? I know the transition from FTM doesn’t fall within the primary purpose of this blog, but I’ve always covered the technology of genealogy, and I think the FTM transition has been an important story in genealogy, and has a lot of interesting implications. I previously reported on the retirement of FTM, what options were out there for transitioning away from FTM, and most recently about Ancestry’s selling of FTM to a third party (Software MacKiev) and licensing it’s APIs to another company (RootsMagic). 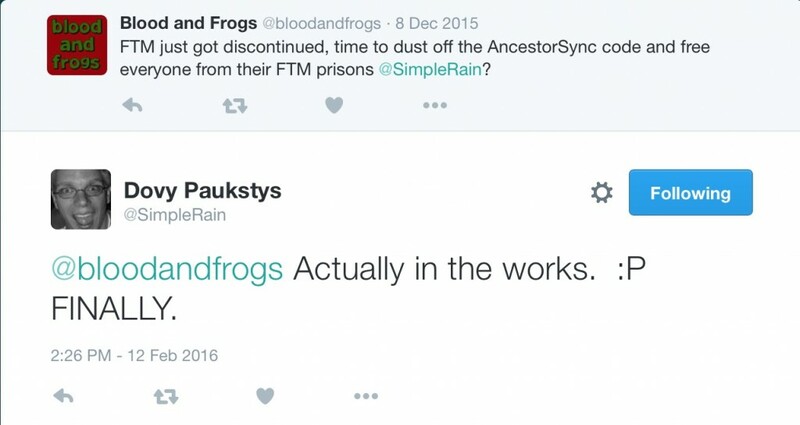 In my earliest post on the topic of FTM’s retirement, I mentioned a discontinued product called AncestorSync that had been created to move data between different genealogy programs and services. The need for something like AncestorSync existed (and still exists) because the only way to transfer data between genealogy programs and services has been to use a GEDCOM file, whose standard was last updated back in 1999. GEDCOM hasn’t evolved with genealogy programs, and because of that it cannot transfer everything we collect in our genealogy programs to another program or service without losing some data. Not every program or service interprets GEDCOM the same way either, which leads to other programs like data corruption. This is why the FTM transition is so interesting. As if to prove how big of a problem all of the above is, we’ve seen multiple genealogy software companies modify their programs to better import GEDCOM files from FTM. So far GEDCOM is the only option available, but by the end of the year there will be the two options I recently mentioned – an updated FTM under new ownership, and a version of RootsMagic that can import FTM files directly. That two companies other than Ancestry will now have software capable of importing FTM files directly, is only because Ancestry no longer views these companies as competitors. Up until now, it wasn’t in Ancestry’s interest to allow any third-party company to be able to read the FTM file format other than themselves. So we know have two groups of options for former FTM users. We have a slew of genealogy software companies that have updated their programs to better import FTM-generated GEDCOM files, and we have a second smaller group (pair) of companies that will be able to read FTM files directly. That brings us to the third possible option, which I mentioned way back in December, and again just up above – AncestorSync. Years ago when AncestorSync was being introduced I happened to meet the CTO of the company producing it, Dovy Paukstys. We were at a genealogy conference, and he was showing off his product. When FTM made their announcement, I fired off a tweet to Dovy, wondering if AncestorSync might be resurrected. AncestorSync fell off the radar two years ago, and Dovy had moved on to other things, but I figured he would know what happened to the technology. So it seems there might now be another option for FTM users on the way. The goal of AncestorSync, as I recall, was to allow the transfer of data between programs and services while retaining all the information. AncestorSync had modules for each program or service it supposed, and allowed you to move data around between the different modules. Initially the services and programs supported included Geni, MyHeritage, FamilySearch, ourFamilyology, Legacy Family Tree, RootsMagic, PAF, Ancestral Quest and FTM. I do remember work was underway on The Master Genealogist (since discontinued) and MacFamilyTree. Of course, if a new standard were to emerge to replace GEDCOM, a program like AncestorSync wouldn’t be necessary. As efforts like GEDCOM X and FHISO haven’t yet managed to come up with a format that can handle better interchange of data and get it accepted by the genealogy software ecosystem, AncestorSync might yet fill the void. I’ve mentioned the Family History Information Standards Organization (FHISO) previously. It is one of two organizations, along with FamilySearch (with their Gedcom X effort), trying to define future data formats for genealogy. Back in March, FHISO announced an open Call for Papers in order to solicit ideas for future genealogy standards. This is the first step in the FHISO’s efforts to create new standards. Yesterday I submitted a paper, titled Asynchronous Collaboration: A Proposal, which outlines my ideas for facilitating collaboration between different researchers, while not forcing researchers to fully merge their databases. The key here is that people can accept family trees from other people, without having to merge their entire tree into their own, and with a query mechanism for figuring out conflicts, or requesting additional information like sources and media related to individual records. This proposal submitted to FHISO and published on my other blog, Lexigenealogy, which is where I now publish my more technical genealogy writings, as well as other technical work related to lexicography. Keep in mind that this is a fairly technical proposal. It’s not really light reading. If you’re interested in the technical aspects of genealogy, and in furthering the creation of new technical standards, I think you’ll find it interesting. If you’re interested, hop over to Lexigenealogy and take a look. I’ve written before about efforts to improve genealogy standards (The Future of Sharing and Genealogy Standards, Another Look). 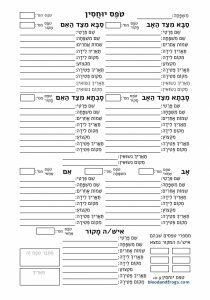 It was in 1995 that the last real standard of GEDCOM (GEnealogical Data COMmunication), version 5.5, was released. 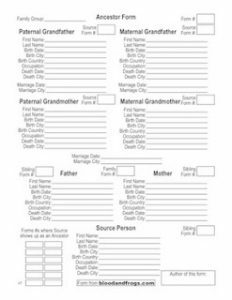 Most genealogy programs support a draft release which was released in 1999, even though it was never finalized, called GEDCOM 5.5.1. So it’s been at least 13 years since any standard has been created that has been used for genealogy. Earlier this year, the GEDCOM X effort was announced, but it is not yet used in any products. The other major effort, started earlier, but without the support of FamilySearch which originally created GEDCOM, is the Family History Information Standards Organization (FHSIO). Originally called BetterGEDCOM, it is an effort started by genealogists to create a new open standard for exchanging genealogy information. In May, FHISO announced that Ancestry.com had joined as a founding member of the organization. Personally, I was hesitant to attribute as much as you might think to that announcement, as nothing in the announcement mentioned support in FamilyTreeMaker (their desktop genealogy application) nor Ancestry.com itself. Yesterday, however, it was announced that RootsMagic had also joined FHISO as a founding member. As a major provider of genealogy software, it’s great news that they’ve joined this effort to create new standards. Without support of genealogy software companies, none of these efforts will be worth much. Hopefully we’ll see other genealogy software companies like Millenia (Legacy Family Tree), Leister Productions (Reunion for Mac) and Incline (Ancestral Quest) will also support this effort, as well as open source efforts like GRAMPS. UPDATE: On August 15, it was announced that WikiTree has also joined FHISO as a Founding Member. Good to see. I’m a fan of WikiTree, and its support of FHISO can only be a good thing.